They are an invasive species in the region, wreaking damage on the marine life of Belize. Lionfish are actually a threat to the livelyhood of the Belize Barrier Reef, so it is encouraged to kill as many of them as possible. The good part is that they are delicous (taste like grouper)! 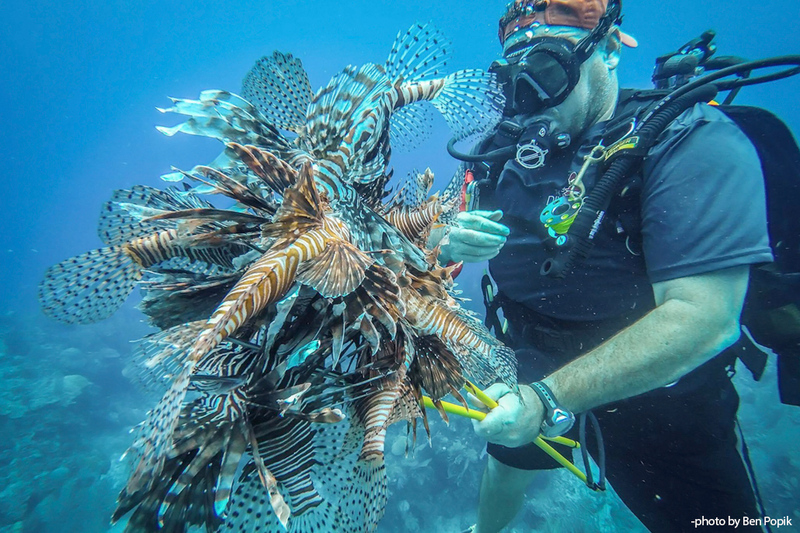 Ben Popik shares with us his great pic of Douglas McLain, the "Lionfish Legend", of SeaStar Belize with a spear-full of Lionfish. "How does he do that?"